Budaun is a city and the headquarters of Budaun district Uttar Pradesh. It is a part of Bareilly division and is located near the river Ganga. 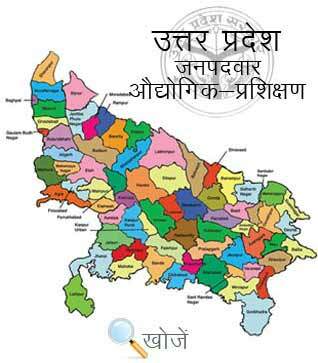 It is the center of Western Uttar Pradesh. The city was the most important post of Northern Frontier during the Mughal Era and now it is a big market, historically famous and religiously important city of the state. As far as education is concerned Budaun has good private and government institutes to impart technical and degree education to the students. The city has a literacy rate of 52.91%. To understand the need and demand of technically skilled youth and to reduce the unemployment among them, the Directorate General of Training (DGT) initiated the Craftsmen Training Scheme in 1950 where the training period ranges from 6 months to 2 years in over 130 specialities. In Budaun there are 4 government and 7 private industrial training institutes (ITI’s) that offers various technical courses to the students. In the state of Uttar Pradesh Vyavasayik Pareeksha Parishad, (VPPUP) is responsible for conducting the examination for admission to various ITI’s in the state with the official site www.vppup.in. Students can also visit the online education portal www.upiti.in which offers comprehensive information to the students regarding online downloading of application form, counselling dates, online admission, checking of results and other important notifications etc.